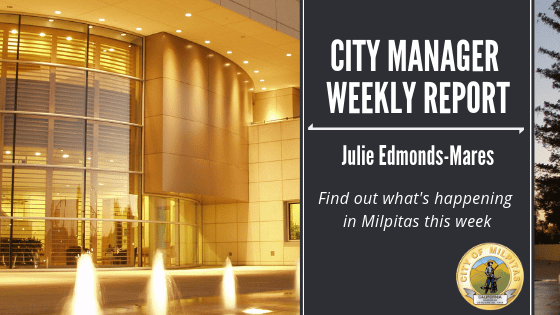 Find out what’s happening in Milpitas by reading the City Manager’s Weekly Report, a summary report of updates related to City projects, new businesses, construction updates, special events and more! You may also download a printable PDF of the latest Weekly Report. The week of March 18 was the 57th California Building Officials (CALBO) Annual Conference this year. 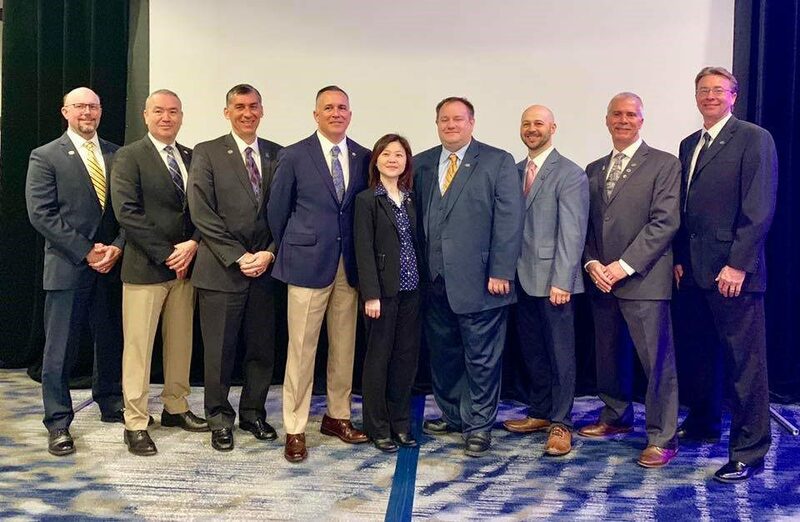 CALBO is a membership organization dedicated to promoting public health and safety in the built environment through responsible legislation, education, and building code development. Its membership consists of 500+ building department officials from across the state of California. The City’s Director of Building and Housing, Sharon Goei, has been serving as CALBO’s First Vice President and Chair of the Legislative Committee since 2018. She has been on the CALBO Board and active in the industry, serving on committees and boards at the local, state, and national levels for years. At this year’s CALBO Annual Conference in San Diego, Sharon was elected to CALBO’s President by the membership. She is the second female President in CALBO’s 57-year history. Congratulations Sharon! in View to acknowledge outstanding impact by public sector employees in city and county government in Santa Clara County who are making a difference within government and the community at large in the areas of housing, transportation, placemaking and urban design, and sustainability and resilience. 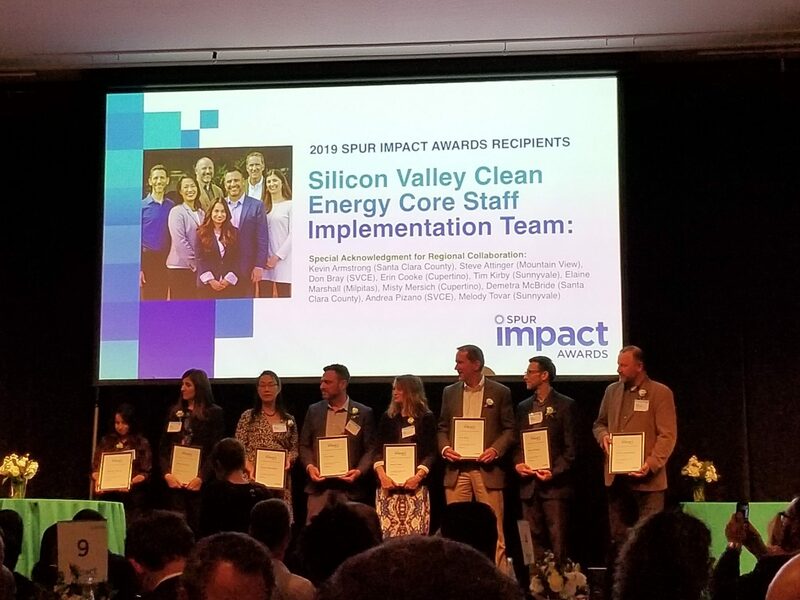 Milpitas Deputy Director of Public Works, Elaine Marshall was recognized as part of the Silicon Valley Clean Energy Core Staff Implementation Team, a community choice energy program that redefines where and how electricity is supplied in the South Bay. The Core Staff Implementation Team played a key role in the intense, multi-year development of the program and in educating the community and other cities on program benefits. As a result, within the first year of operation, SVCE reduced greenhouse gas emissions by 14 percent, lowered rates for customers and became the first community choice energy program in California to make carbon-free electricity the default product. Congratulations Elaine! The Request for Proposals for the Odor Attribution Study is now available on BAAQMD’s website. As has been reviewed with the City Council, BAAQMD is seeking an experienced and qualified contractor to perform an odor attribution study that is intended to identify compounds that may be impacting a local community from three closely located facilities with similar odor profiles (landfill and associated composting facility, sewage treatment plant, and a dry anaerobic food waste digester facility) in San Jose, near Milpitas. The goal of the project is to determine the contribution and variability of odor causing compounds from these facilities and develop a strategy for measuring how often and at what concentration these potential odor causing compounds may be passing to the local community. Proposals must be received by 4:00 p.m. on April 2, 2019. Over the course of the last two years, the Metropolitan Transportation Commission (MTC) and the Association of Bay Area Governments (ABAG) convened a series of structured discussions with local government officials, developers, major employers, labor interests, housing and policy experts, social equity advocates and non-profit housing providers through a technical committee known as CASA. In late 2018, the CASA Steering Committee finalized a 10-point set of policy recommendations referred to as the CASA Compact, which was designed to increase housing production at all levels of affordability, preserve existing affordable housing, and protect vulnerable populations from housing instability and displacement. On March 20, the City received notification from the Cities Association of Santa Clara County that MTC has confirmed that the CASA Compact proposal to divert a portion of property tax growth to a regional agency for affordable housing is no longer under legislative consideration as it has been determined unconstitutional. As more information becomes available, further updates will be provided to the Council. Big Al’s is holding a pep rally outdoors on the courtyard (27 Ranch Drive) next Wednesday, March 27 from 2- 6 p.m., in anticipation of their Grand Opening in May. There will be food tastings, drink samples, parlor games, a prize wheel and more! On Thursday, March 21, the City’s Executive Leadership Team (ELT) comprising of all Department heads and City Manager’s Office, held a facilitated retreat. The team discussed many topics including Council and community priority areas, accomplishments and challenges, systems and process improvements, and increased inter-departmental collaboration to continue to effectively deliver services to the community. The team debriefed the 2018 Employee Pulse Survey and discussed ideas to continually improve employee engagement and support professional development. There was also ample opportunity for teambuilding throughout the day. The next ELT Retreat will be scheduled in fall. The first of two community budget workshops will be held next Thursday, March 28 at Sinnott Elementary School at 6:30 p.m. The second workshop will be held April 18 at 6 p.m. at the Barbara Lee Senior Center. A dedicated webpage has been created at www.ci.milpitas.ca.gov/budgetoutreach, which includes a quick survey on how the community would allocate imaginary money towards the different Council priority areas. On Monday, March 18, Assistant Police Chief Kevin Moscuzza, Officer Singh and Officer Asefi met with Hindu, Sikh, and Muslim religious leaders, at the Gurudwara Singh Sabha Bay Area (680 E. Calaveras Blvd.). They discussed the impact of the recent New Zealand shootings at two Mosques. The religious leaders expressed concerns with proper statistical reporting of hate crimes and prevention methods. The FBI, DOJ General Attorney’s office, Councilmember Carmen Montano, Planning Commissioner Evelyn Chua and MPD representatives participated in the discussion. MPD representatives focused on community engagement to encourage the community to report suspicious behavior that could lead to hate crimes. On Tuesday, March 19, Sergeant Hinkley, Officer Inthasack, and Officer Yamamura, visited fifty-one (51) tobacco retailers (17 each) in the City of Milpitas to do compliance checks on tobacco advertising. The officers checked to make sure the advertising materials and exterior banners were the correct size and that the tobacco products are not “self-serve”. In addition, the officers passed out current warning stickers, and a printout of Milpitas laws, California laws, and Federal laws regarding tobacco sales. The only observed violation was that most retailers did not have the current stickers. The compliance check is 100% cost recovery through the California Department of Justice Law Enforcement Grant for Proposition 56. 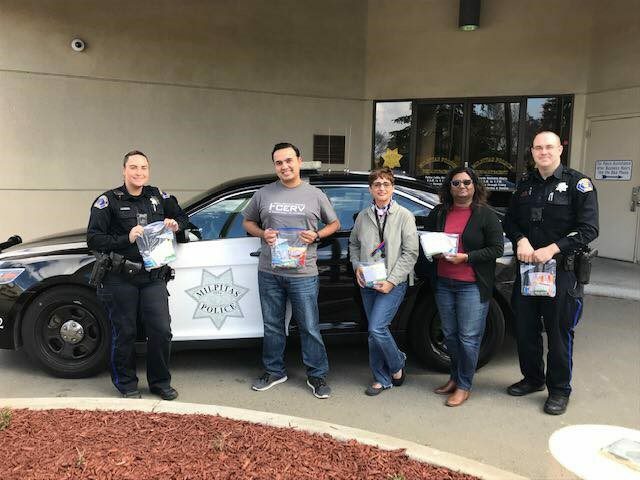 On Wednesday, March 20, members of the Homeless Outreach Team met with representatives of the Ismaili Cultural Center, 691 South Milpitas Boulevard, and received approximately 500 care packages with snacks and a note to be distributed to our homeless population. Milpitas Police Department gave 300 packages to the Milpitas Food Pantry, and gave 100 packages to Dress for Success. On Friday, March 22, Captain Hernandez, Sergeant Smith, and Field Training Officer Kevin Jackson attended a mid-term inspection for Police Officer Trainee Jesus Valencia at San Mateo Police Academy, 1700 West Hillsdale Boulevard, San Mateo. His expected graduation date is June 28, 2019. Sprig Center – Chevron, for site improvements and construction of a gas station with car wash located at 1625 N. McCarthy Blvd. at an estimated construction cost of $1.79M. Lyon Communities for construction of a 5-story, 193 residential unit apartment development with commercial retail space wrapped around an 8-story garage structure for The District 1 Lot 4 located at 1400 McCandless Dr. at an estimated construction cost of $38.1M. Home 2 Suites, for site improvements for a new 5-story, 135-room hotel located at 1333 California Cl. at an estimated construction cost of $500,000. The City of Milpitas, for site improvements and restoration of the interior of Historic Alviso Adobe House located at 2087 Alviso Adobe Ct. at an estimated construction cost of $300,000. Milpitas Charity Bingo Inc., for tenant improvements to conduct charity bingo games at their new facility located at 461 S. Milpitas Blvd. at an estimated construction cost of $203,560. Nestle Waters North America, a storage & beverage distribution business relocating from San Jose to 945 Ames Ave.
Zhongshan Ruike New Energy (America) Co, a solar marketing and sales office relocating from Fremont to 1765 S Main St.
On Monday, March 18, staff from Planning and Fire met with representatives from Adept Development to discuss their proposal for a new mixed-use development at 600 Barber Lane. This property was originally entitled in 2004 and re-entitled in 2016 as the Landmark Tower Project. Adept Development is now proposing a significant re-design of the project, which will feature 380 residential dwelling units, approximately 20,000 square feet of ground-floor commercial uses facing Barber Lane, and a moderate amount of office space over the commercial. The project will comprise one building with three levels of podium parking (one underground) and four residential towers (up to five stories each) clustered around a central, landscaped courtyard with a pool and other amenities. At present, the project is going through the pre-application review process, and the development team is working with Planning, Building and Housing, Engineering-Land Development and Fire staff to resolve design issues. The project will reserve 15% of total units (57 units) as affordable units and will also be required to pay the commercial linkage fee. Potential impacts to traffic, air quality, and noise will be analyzed as part of the required environmental analysis under CEQA. California Circle Townhomes, Circuit, 144-townhome residential development by KB Homes at 1210 California Cir. 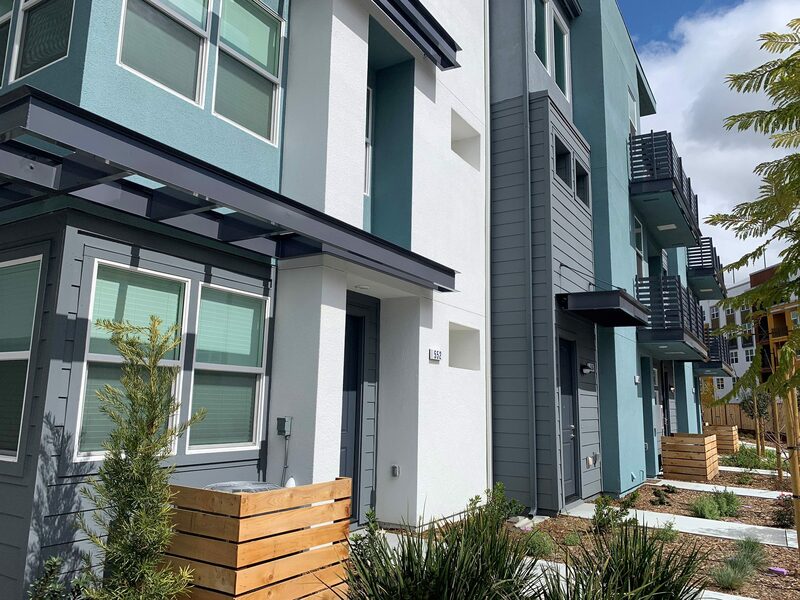 : One more 3-story building with a total of 5 units was finaled at the development, bringing it to a total of 25 completed units in the development. Piper Drive Townhomes, Lucente, 98-townhome residential development by KB Homes at 1256 Piper Dr.: One more 3-story building with a total of 6 units was finaled at the development, bringing it to a total of 30 completed units in the development. Siena Townhomes, 73-townhome residential development by Landsea at 600 Amalfi Lp. 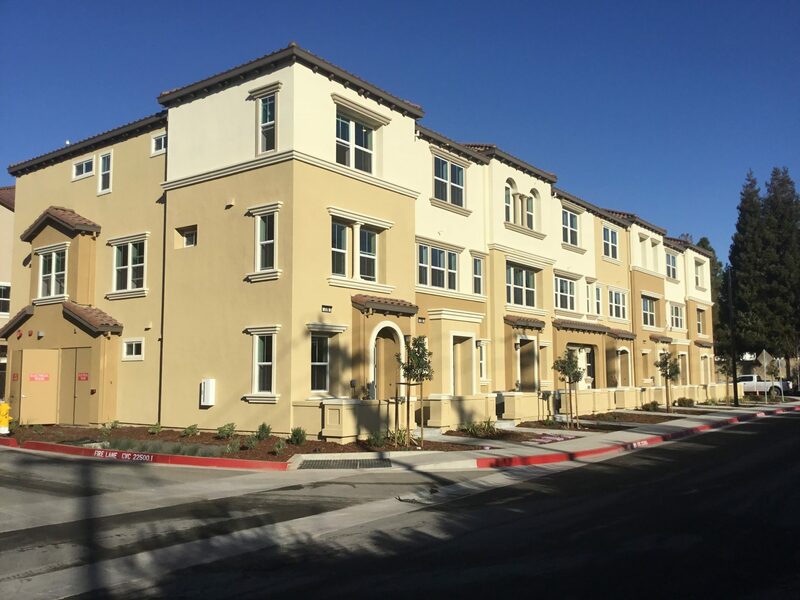 : The first 3-story building with a total of 8 units has received final inspection out of the 73-townhome residential development. 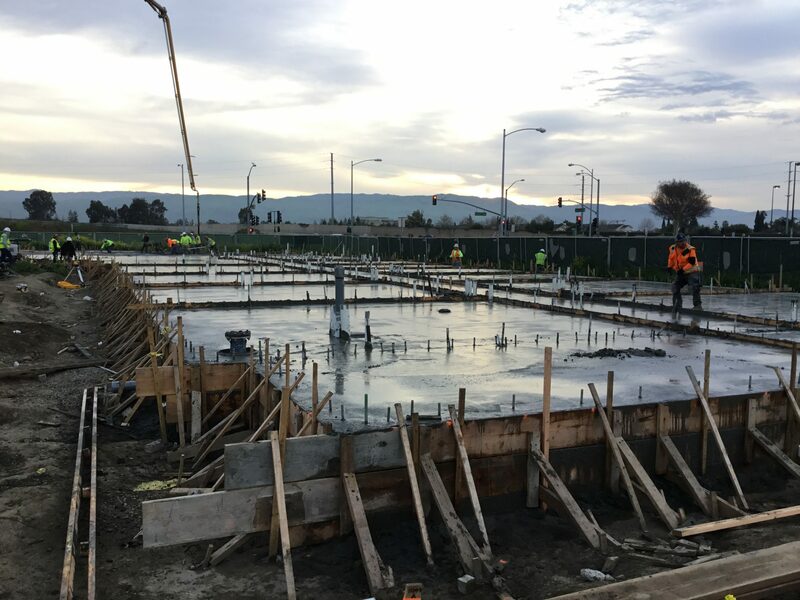 Element Hotel, 5-story 194-room hotel by LD Milpitas Lodging located at 521 Alder Dr.: The first concrete placement on the first floor is taking progress at the new Element Hotel. McCarthy Creekside Development, 5 single-story high pile storage warehouse shell buildings, total of 926,000 sf and 1 retail/restaurant building of 6,000 sf by McCarthy Ranch developer located at 625 N. McCarthy Blvd. 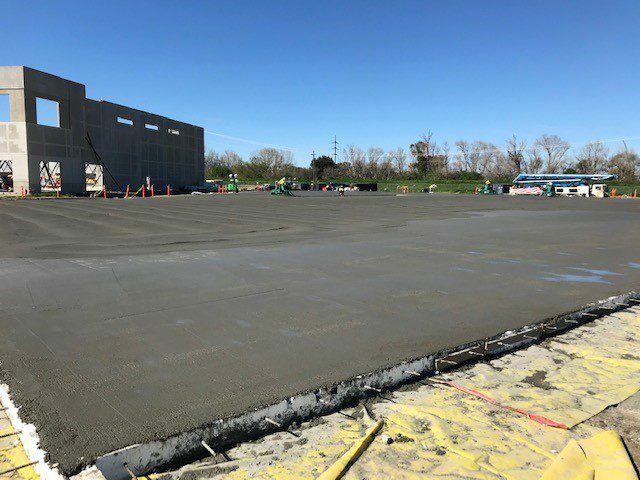 : The first concrete placement of the floor at the McCarthy Creekside building #D out of 5 single-story high pile warehouse shell buildings has been poured.